There’s no denying it folding chairs are a necessary evil to small space entertaining. 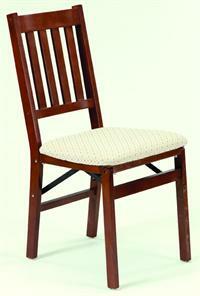 Without room for luxe dining rooms and seats for everyone, we are often forced to turn to the plastic folding chair. But who really likes to sit on a piece of hard plastic while eating dinner? Not me. Not to mention folding chairs don’t add any value to ambiance. Stakmore Furniture has come up with a brilliant solution! Folding chairs that don’t look, or feel, like folding chairs. These chairs come in a variety of colors and designs. They are definitely worth the investment! Small spaces leave little room for a proper place to eat or entertain guests. 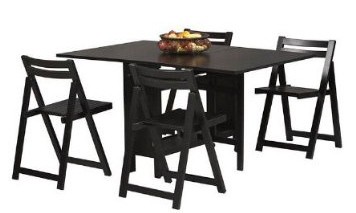 This 5 piece folding dining table not only folds down to a mere 36 inches, but has hidden storage inside for all four folding chairs! 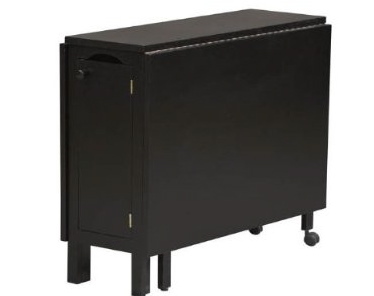 It also comes equipped with wheels for easy moving, and when not in use as a dinner table, it makes a great sideboard behind a sofa or love seat. Genius! With spring right around the corner, it’s time for the annual spring cleaning ritual. This yearly tradition is important for everyone, but even more so for those of us living in small spaces. We organize our closets, donate old sweaters and shoes, clear clutter and throw out year-old newspapers, but often we forget about the kitchen and pantry. In the spirit of spring and new awakenings, extend your purge to your kitchen cabinets and refrigerator. Here are some tips for springing into April on the right foot. 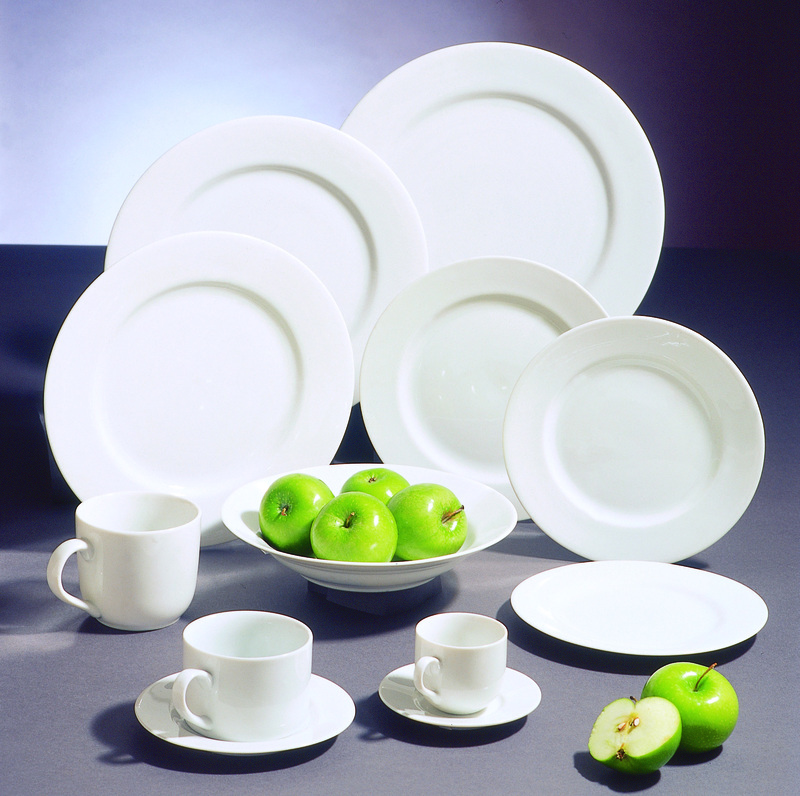 Dinnerware and cutlery often get overlooked when it comes time to clean. I bet you have a least one cracked plastic glass from a baseball game in 1999 and old mismatched dinner plates from college. With limited space to store items for entertaining it’s important to clear out what’s mismatched and old to make room for items that are usable for both everyday and special occasion. This can be an expensive venture, but it doesn’t have to be. There are plenty of inexpensive places to buy durable and versatile dinnerware. Contrary to popular believe common fridge items like mustard and ketchup do go bad. Check the door of your fridge and ditch anything that’s been lurking for more than 1 year. If you don’t know how long something has been “chilling”, throw it away. Chances are it’s been there too long. It’s ever a good idea to use harsh chemicals or cleaners where you store food, but giving your fridge a good wipe down with more than water is a must. Try mixing vinegar and water together to create an eco-friendly and food-safe disinfectant. For your freezer, take an inventory and purge anything that looks like it has freezer burn or has been in for over 6 months. Again, if you’re not sure, toss it. 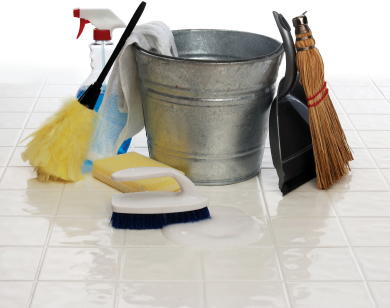 Use your vinegar / water disinfectant mix to clean any surfaces. Similar to the refrigerator/freezer, ditch anything that’s been open for more than 6 months. This means half empty boxes of pasta, rice, crackers, etc. Give your spices a once over. Anything that has been around for over 1 year should be thrown away. Spices don’t necessarily go bad, but over time they do lose their flavor. And after all this spring cleaning fun is over, donate anything usable to charity and reward your efforts with a strong cocktail! Happy cleaning!